Carleton has purchased lynda.com subscriptions. All students, faculty, and staff now have access to hundreds of tutorials and thousands of videos. You can use it in your office or dorm room, in the classroom, at home, at the coffee shop, or even abroad. Most videos range in length from 2-8 minutes. Although, most videos are a part of a larger ~ 2-hour tutorial. You can use lynda.com (linked below) as a way to learn a lot about a software program or subject (Photoshop, for instance, or design principles), and/or as a way to answer a specific question about a particular application or subject (How do I format a table in Excel 2010?). The purpose of this page is to give an overview of options for visualizing data and to provide resources for learning more. If you want help learning how to create data visualizations, you can learn on your own with the resources here, or get help from your professors or campus resources such as the Data Squad and the Statistical Consulting Center. The Statistical Consulting Center in Carleton's department of Mathematics and Statistics will analyze data or consult on the construction of a study or survey. The DataSquad provides consultation on planning and carrying out a data visualization, and can provide instruction in a wide range of software applications. Log in with your Carleton account. A Google labs project that allows you to visualize data with animated charts and maps. Datasets are being added on a regular basis. Currently includes World Bank data and other selected data from the Census, BLS, CDC, and Eurostat. Creates interactive statistical tables, charts and maps from over 4.3 billion licensed and public domain datasets on many areas of research, from traffic to international trade. Get quick and easy access to current and historical U.S. census data and demographic information. Covers 1790 - 2010. 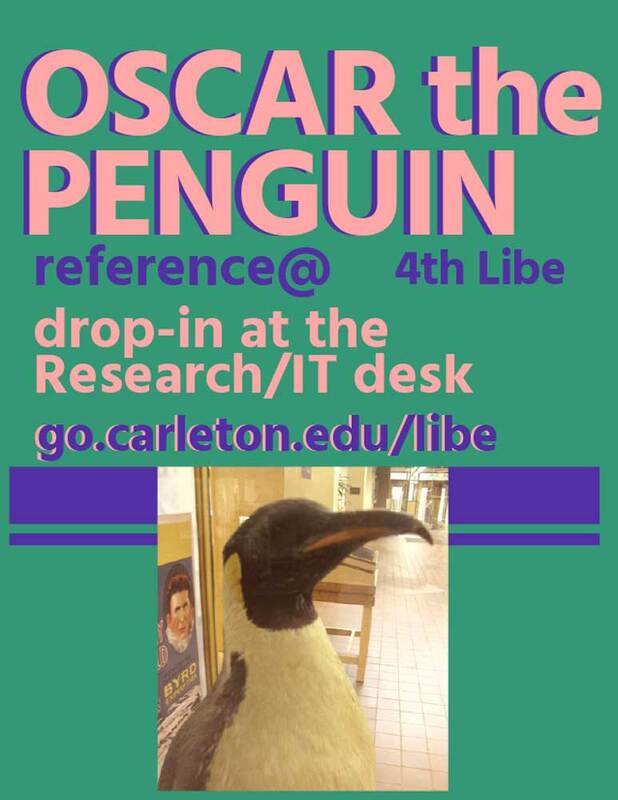 NOTE: You will need to register with your Carleton email address to begin fully using this database. Broadly applicable tips for making graphics worth reading. From the FlowingData blog. An invaluable resource on using numbers well in your writing. The link above is just a preview. Take a look at the library's copy or consider getting a copy of your own. This article will briefly teach you how to make several visualizations from simpler ones such as histograms and box plots to more advanced ones such as mosaic maps and 3D graphs. This does require having RStudio installed and basic knowledge of R.
Discover how to create informative and visually appealing data visualizations using ggplot2, the leading visualization package for R.
Learn how to use Tableau to see and understand your data better. These tutorials will help you use this program to analyze and visualize your data. It has fewer features compared to Excel. It might have enough for you, but Excel is very free form. In addition, Google Sheets has history of all edits, unlike Excel. Although it is possible to get a history for Excel if you edit it in Dropbox (but it won’t be for every edit like Google Sheets, just every upload). Discover how to get around the interface, enter and work with data, and use formatting and function features, and learn smart ways to make your data work for you. Saving (and people often do it instinctively) can destroy your data. Excel will warp numbers into different formats such as times/dates/currencies. Also, it’s very easy to drag and drop cells without noticing. Be sure to always open a copy of your data, and be sure not to save it. It is best to manipulate your data in another way such as a Python script, Tableau or OpenRefine. Charts allow you to communicate information visually, in a way that's more impactful than raw data, and they happen to be one of the most powerful and easy-to-use features in Microsoft Excel. Decide which chart works best for your data. Learn how to fine-tune your chart's color and style; add titles, labels, and legends; insert shapes, pictures, and text boxes; and pull data from multiple sources. Most people do data entry directly into a spreadsheet. It is much safer to make and use a Form for data entry. A ten hour course which will teach you how to take data that at first glance has little meaning and present that data in a form that makes sense to people. Various techniques have been developed for presenting data visually but in this course, we will be using several data visualization libraries in Python, namely Matplotlib, Seaborn, and Folium. This is an overview of 10 different visualization tools in Python with links to further tutorials. It covers several different Python packages that all range in complexity.